I was wandering around Barnes and Noble the other day and I glanced over at this overwhelming pile of adult coloring books. That's when I noticed this Edgar Allan Poe adult coloring book. Then I got really excited! 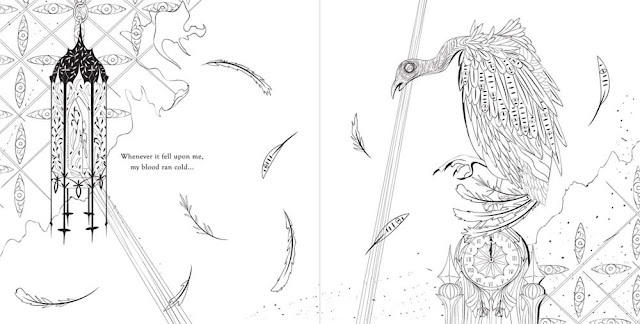 The cool part about this coloring book is that you can color all the imagery and read Poe's poetry simultaneously. 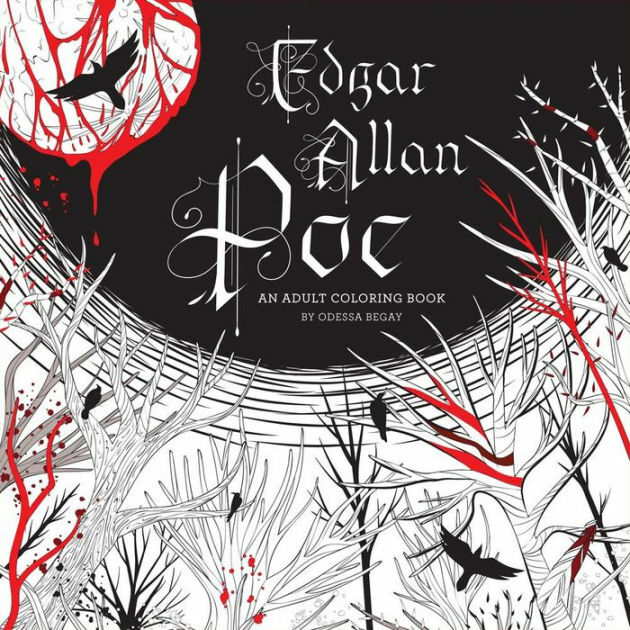 You can continue to be inspired by Edgar Allan Poe's work, even while coloring. Don't you love the eerie illustrations? I'm glad they didn't tame the macabre themes. Instead, this book is still as dark and disturbing as it should be. What do you think about this macabre coloring book? Comment below!